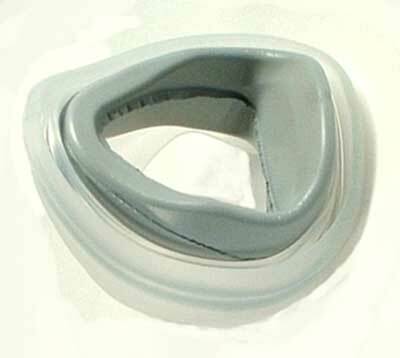 One replacement foam cushion and silicon seal for the Fisher & Paykel FlexiFit HC407 nasal mask. This seal has been a good replacement, soft, forms a perfect seal. I've learned that they do wear out, loose their softness which makes it harder to form a good seal. Thus I now realize I need to replace it more often than I have in the past. Ordered the replacement parts for my mask, got them and they are perfect! The new cushion is great! Made a huge diference in my comfort level. I am very pleased with the new cushion/seal. I did not know how bad the old one was until I received the new one. The cost was good and the service excellent. Q: Can this be used without the foam cushion?